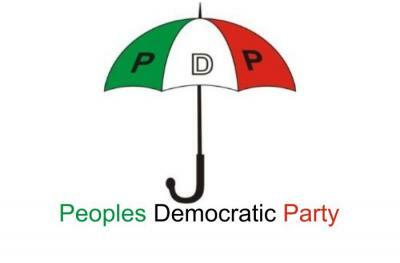 The aftermath of the rancorous national convention of the Peoples Democratic Party (PDP) continued to reverberate yesterday, following the sealing of the premises of the national secretariat of the party by the police, preventing human and vehicular movement in and out of the premises. The ill-fated convention of the party in Port Harcourt which led to the ouster of the national chairman of the PDP, Senator Ali Modu Sheriff, also saw leaders of the party further polarised into different camps. At the PDP national secretariat yesterday, stern-looking policemen took over all its entry and exist points. It was gathered that the deployment of the policemen was on the orders of the Inspector General (IG) of Police, Mr. Solomon Arase, following what security sources said was the perceived factionalisation of the opposition party after two parallel conventions were held in Abuja and Port Harcourt respectively on Saturday. The police came in two heavy-duty trucks and used them to cordon-off the road leading to the PDP secretariat. Though the policemen did not respond to enquiries on their mission, it was learnt that they were under instructions not to allow anyone entry into the party’s office. Not even the embattled former governor of Borno State who is resisting his ouster at the Port Harcourt convention could gain entry into his office. Sheriff had described his removal as a coup that will not stand. He was eased from his position in a most dramatic manner, when the governors of the party and other leaders held an emergency meeting at the Rivers State governor’s lodge in Port Harcourt, ostensibly to chart a way forward, following a court order restraining the party from holding an elective convention. At the meeting, Sheriff was asked to step down so that the party will select a more acceptable man for the job. Later, the governors and party leaders, together with delegates to the convention trouped to the Sharks Stadium, where they went ahead with the convention to remove Sheriff via a voice vote. In place of the sacked Sheriff-led NWC, a new caretaker committee was appointed with Senator Ahmed Makarfi as interim national chairman, Senator Ben Obi (secretary), Senator Ugbesia (member), Senator Abdul Ningi (Member), Mr. Dayo Adeyeye (member), Aisha Aliyu (member), Mr. Usman (member). The caretaker committee is expected to preside over a new convention of the party that will usher in new executives.